Death Valley National Park has been a destination that always came up on our list of places to go but never quite materialized. It just so happened that a friend of ours and a small group planned a trip to Death Valley and the dates landed perfectly between all of our other commitments. Before we knew it, we were all packed up and ready to go for 3 days of excellent exploration. We headed out after a busy day of work to camp for the night at our meeting point for the next day, the Wildrose Campground. Wildrose is a great place to stay if you are looking for a developed area. It has 23 sites available, with running water, tables, fire pits, and pit toilets; there is no fee to stay. It is open all year, and accessible by any type of vehicle. We rolled in pretty late that night, greeted our friends Tim and Molly, popped open our tent and went to bed. The next morning, the rest of the group arrived and after a quick drivers meeting and route discussion, some of us headed over to see the Charcoal Kilns at the nearby Wildrose Canyon. 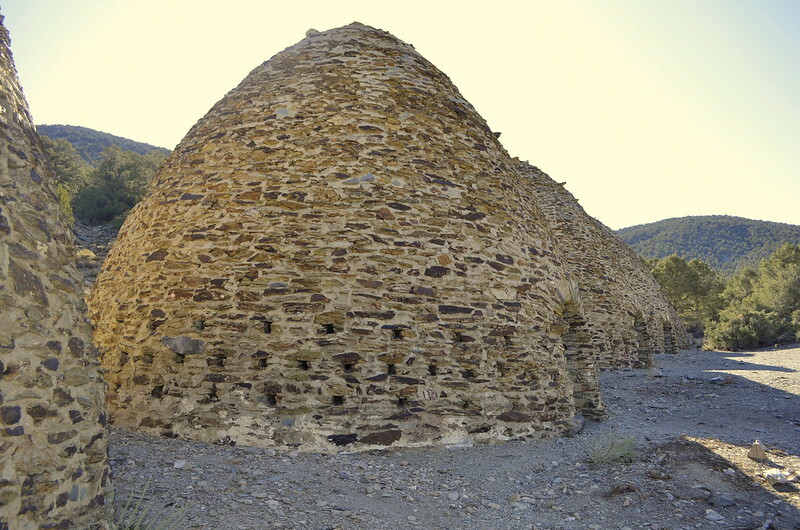 The Charcoal Kilns were said to be built in 1877 by the Modock Consolidated Mining Company to produce charcoal to fuel a nearby lead-silver mine’s smelters. Charcoal burns slower and hotter than wood, and is made from wood in kilns such as these to convert it to a roughly 96% carbon content. 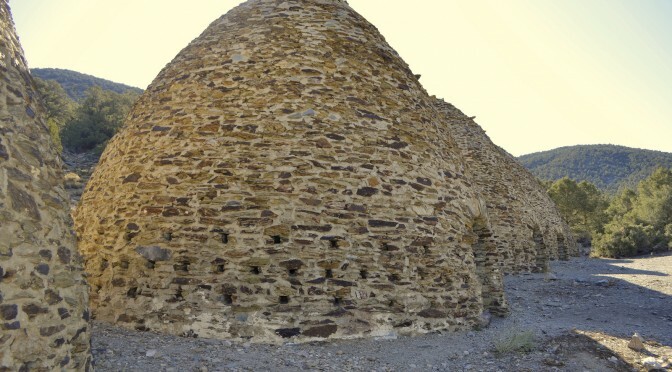 The particular kilns are about 25 feet high, and are very well preserved. After the Kilns we headed towards the Stovepipe Wells Ranger station stopping at Aguereberry Point (Elevation 6433 ft) along the way. 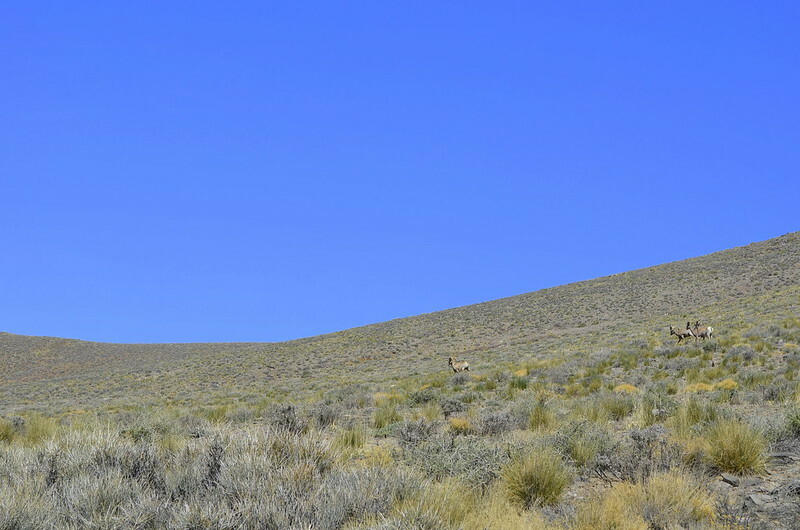 We were excited to spot wild Desert Bighorn Sheep roaming along the trail. Riley was certainly excited to encounter wild life, so we stopped and admired their behavior.